Finally, we can rest. E3 2018 has concluded. We wrote, played, and worked a lot, all for the sake of video games. With the annual Electronic Entertainment Expo's conclusion, we're ready to name our official award winners. And yours too. The Resident Evil 2 remake is a success. If the rest of the game is even half as successful as the 40 minute preview I played (and I have reason to believe it is) then Capcom might pull off a remaster that outdoes its legendary update of the first Resident Evil. 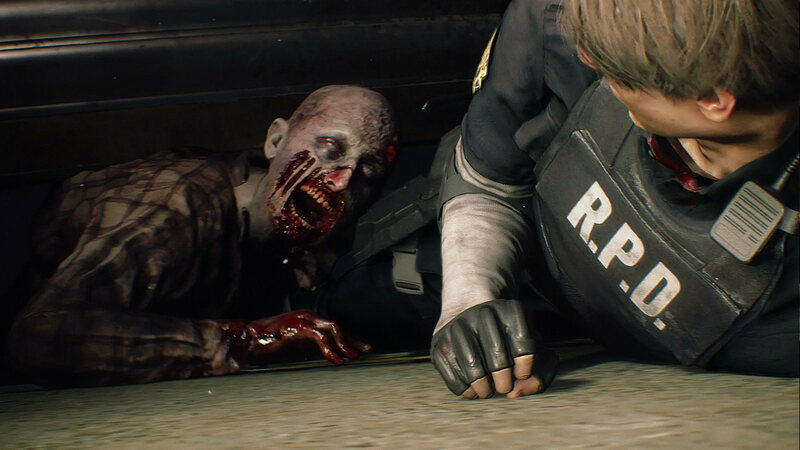 Resident Evil 2 isn't just an impressive remake, though—it's a reimagining that injects fresh horror into the classic original. I guarantee that even if you've played the original Resident Evil 2 on the PS1, you won't be prepared for what Capcom has in store for you with the remake. The new third-person perspective doesn't dilute the game's atmosphere, but rather enhances it thanks to how fluid and natural the game feels, which in turn makes the game more realistic. The realism naturally feeds into a new kind of horror experience. Fans have been waiting for CD Projekt Red's Cyberpunk 2077 since the game was first announced in 2012. The first trailer dropped in early 2013, but the developer has been utterly quiet about the title since then. 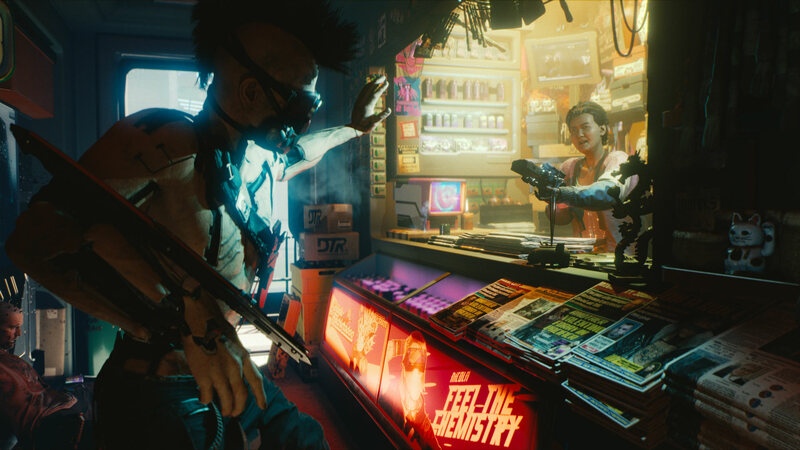 E3 2018 marked the first time fans had been able to see another cinematic trailer, teasing out the shape of the digital world based on the Cyberpunk 2020 pen-and-paper RPG. But behind closed doors, the developer showed off how Cyberpunk 2077 will play. The surprise is that Cyberpunk 2077 is a first-person role-playing game, not the third-person adventure that fans expected from the developer of The Witcher 3. The game plays out like many games in the immersive sim genre, notably Deus Ex: Human Revolution, Deus Ex: Mankind Divided, and Syndicate. Players step into the role of V, a cyberpunk trying to make their way forward in the streets of Night City. Having seen the gameplay demo, I can say that folks are probably not prepared for the density and detail found in Cyberpunk 2077's Night City. Megabuildings are giant communities that feel like the city section of any other immersive sim. You step out into the street and there are huge crowds walking in every direction, trying to live their own lives. Even in the gameplay trailer, there's some interesting juxtaposition of the grime and decay of Night City's apartments and alleys, and the bright colors and neon signage of the outdoors. And then you step into your car and realize that this isn't just a single city map, and Night City is one amazing, seamless open world to play in. Any time we talk about Sekiro, there's always the matter of pointing out that it's not a Souls game. There's a certain context to this ever-present statement. The Souls series is what allowed FromSoftware to rise into mainstream prominence, even though the series is really an evolution of what the developer had done in its older King's Field titles. Armored Core, Otogi, Ninja Blade: you may know of these titles and series, but the average person likely does not. Hence, Sekiro is not a Souls game. Sekiro: Shadows Die Twice is very much its own unique creation. There's some inspiration from the Tenchu titles, a series FromSoftware picked up later in life, but it's just that: inspiration. Players take on the role of the Shinobi, a warrior with a transformable arm and the ability to come back from the dead. 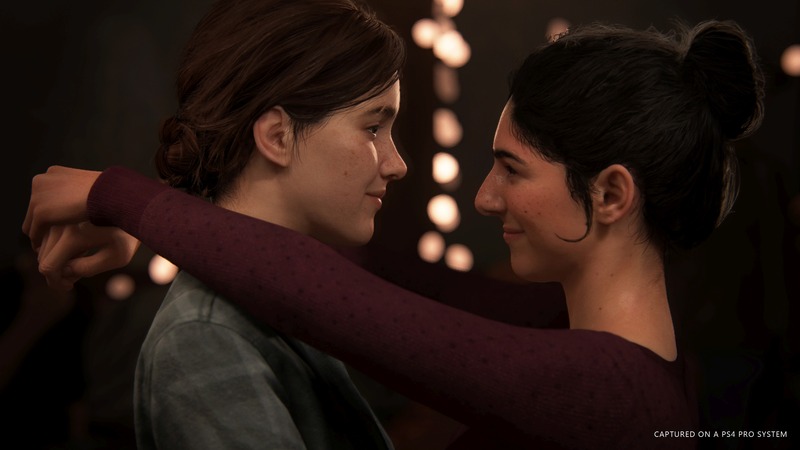 To be honest, we didn't see a ton of The Last of Us: Part 2. Naughty Dog is still working heavily on the title and it doesn't even have a release date. Ellie returns from the first game as the lead this time around; Joel will still play a role, but it's Ellie's time to shine. She's not playing around though, as the trailer shows her taking on the game's unnamed religious cult to survive. She hides in tall grass and underneath cars, taking out foes with a gun or bow and arrow. Ellie isn't even above using an enemy as a human shield. The trailer ends with her dispatching her final pursuer with a wicked machete. Seasons change everything in Forza Horizon 4, at least according to Microsoft and Playground Games. And you know what? They're right. 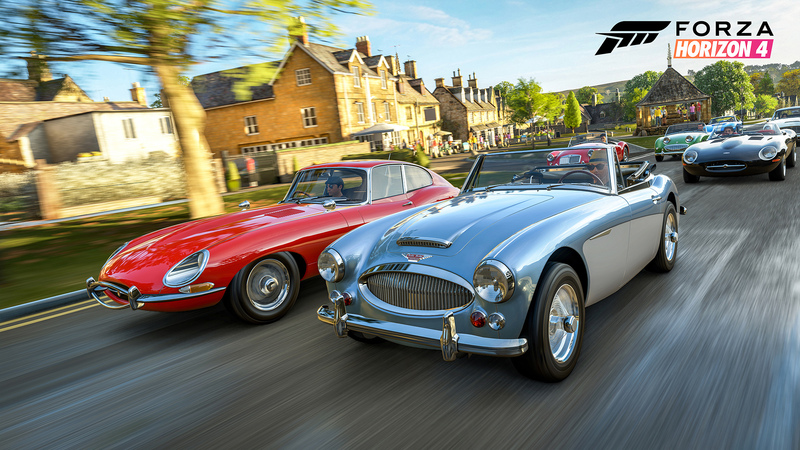 Seasons add new dynamics to Forza Horizon 4 in two main ways: It changes the types of cars and style of driving you need for each season; and the way it dynamically alters the scenery makes a beautiful game visually surprising. Back when Ubisoft first decided that Assassin's Creed was going to be taking some time off to refocus, I expected that it would be pretty light in terms of changes. Instead, Assassin's Creed Origins began the series' shift away from the action-adventure genre, and more towards new RPG-style level and gear systems. Assassin's Creed Odyssey is merely the next step in that evolution for the series. Right from the beginning there's an emphasis on choice, with players being able to pick whether they're Alexios or Kassandra. There's now dialogue trees and branching quests. The gear system has been beefed up to allow players more options through engraving, which allows you to improve your gear with recipes found out in the world. Assassin's Creed even has selectable romances this time around! If you thought Origins felt a little like The Witcher 3, Odyssey goes further. It's too bad that everyone is focused on Battlefield 5's gender politics, because as a game it's looking very strong this year. It builds on everything that was great about Battlefield 1 and explores many lesser-known settings in World War 2, the most prominent being Norway. It's basically everything that Call of Duty: WW2 wasn't. Naturally, this being 2018, it borrows from Fortnite. It has a slightly more stylized aesthetic; a heavier emphasis on cosmetic items (hence the ability to choose your gender in the multiplayer), and the ability to build fortifications. It's going to have battle royale at some point too. But the mode I saw, Grand Operations, was pure Battlefield, encompassing a massive battlefield with vehicles and destructible buildings. Yes, we complained about Spider-Man's sometimes wonky camera in discussing Insomniac's upcoming superhero game, but its strengths definitely outweigh its weaknesses in this regard. Spider-Man nails the one element that matters most: swinging through New York City. It feels great, making the simple act of getting from mission to mission a delight. Perhaps more importantly, it captures the overall personality of Spider-Man. Perhaps even more than the Marvel version, which is subordinate to the overarching Avengers storyline, Spider-Man feels faithful to the comics. The quips are spot-on and the villains all match their comic book counterparts. It's the Spider-Man game we've been waiting for ever since Spider-Man 2 blew everyone's mind back on the PS2. 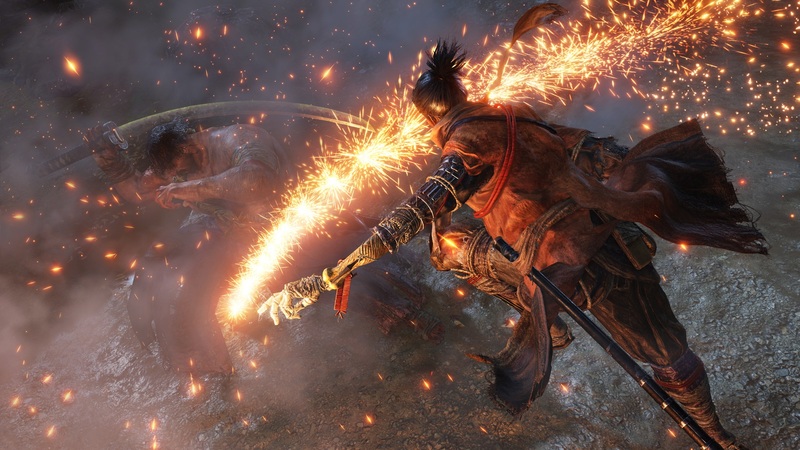 Sekiro: Shadows Die Twice is the next game from the team behind Demon’s Souls, Dark Souls, and Bloodborne, so, you know, no pressure or anything. The gameplay trailer at Microsoft’s show came out swinging, literally and metaphorically, with our unnamed Shinobi laying into demons and samurai with swords and grappling hooks. Head FromSoftware honcho Hidetaka Miyazaki has said the story behind Shadows Die Twice will be a lot more coherent and easier to understand than Bloodborne or the Souls series. Our Shinobi is the bodyguard for a child known only as the Young Lord, but is left for dead after the child is kidnapped. He’s back from the dead with a skeletal arm and a thirst for blood, and it looks like he’ll be cutting a bloody path through feudal Japan. Our Community Pick for Best of E3 2018 was a close one. Capcom's Resident Evil 2 and CD Projekt Red's Cyberpunk 2077 were head to head with votes, but Cyberpunk 2077 wound up victorious by just one single vote. (We tallied votes at around 1 p.m. PT, for the record.) 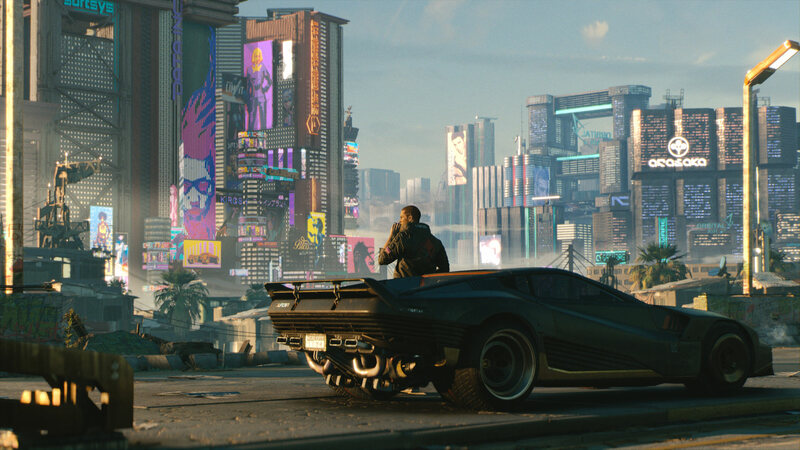 Despite its demo being behind closed doors, news of Cyberpunk 2077 traveled around from the few who were able to see it. Hell, our very own Mike even wrote about it at length. He drew comparisons to the likes of the Deus Ex series, as well as even Syndicate; of course, it has the impeccably detailed quirks customary from the creators of The Witcher 3 too. Tagged with E3 2018,	Feature.